A cohesive and collaborative team are important to organizational success. A new study discovered that employer flexibility regarding employee work/life balance is a determining factor in employee satisfaction. Also covered in the study is developing cohesive teams that understand the importance of personal accountability. Researchers from the study also found that spouses influence your employee’s decision to stay. When work affects family life, a discontented spouse could influence your employee to leave. Perhaps this is one reason why Toyota holds annual spouse and family honoring days during the year. The celebration focuses on how important the family is to employee satisfaction and work success. “Given the impact of employer support on worker commitment, it would behoove organizations to enact policies and procedures that support a culture giving employees flexibility to attend to a family matter. These findings underscore the importance of making sure employees are aware of workplace support,” said Merideth Ferguson, Ph.D. Ferguson is the study’s author and assistant professor of management at the Jon M. Huntsman School of Business at Utah State University. There are many other team building ideas available for organizations to create a healthy work/life balance for employees. Four tips are provided below. Encourage vacations to improve employee satisfaction. No matter if you are an entrepreneur or work for a large corporation, taking time off is essential to reduce burnout. While entrepreneurs may feel that vacations are completely off the table at the moment, breaks are necessary to give you a refreshed sense of purpose. For organizations, employers need to encourage their employees to take time off to recharge for the same reasons. Employee burnout is a serious condition. Work quality, enthusiasm, health and employee satisfaction suffer. Find time for hobbies to improve employee satisfaction. Finding a purpose outside of work gives employees the chance to step away from work and think about other things. This is important for both entrepreneurs and employees. Hobbies boost creativity and productivity for employees while they are on the clock. Employers can facilitate groups outside of work to help employees connect with one another through shared interests. Or they can create affinity groups in house, such as book clubs, yoga, and teams of people who love to solve complex problems. One group formed by a client company focused on photography. The organizers brought in photographic experts that taught various techniques and color theory. This led the group to volunteer to put together year end slide shows of the company’s progress during the year focusing on employees doing what they do best. Later the group took up video. This affinity group paved the way for employees to volunteer to develop micro-training segments for critical manufacturing and safety videos. Offer long-term sabbaticals to improve employee satisfaction. Employees who carry large loads of responsibility earn the right to take a month to three months off work. These employees return to work better prepared to re-enter the workplace with fresh ideas and a renewed sense of productivity. There are two benefits tied to sabbaticals. The first is that you can test your succession leadership development. When senior executives take time off, having someone ready to assume responsibility saves the company from triage responses should something happen to the senior executive later. In a collaborative workplace, succession leadership is not a threat. It is an opportunity both for the executive to break away and for the leader who is being developed to test their skills. Second, breaking away from the rat-race let’s creative and intuitive solutions to complex problems to surface. For CEO’s and other senior executives, the rat-race tends to anchor in the status quo. There is no time to think about alternative solutions to complex problems and innovations. This is because so many organizations focus on annual initiatives rather than long term success initiatives. The most important aspect of the sabbatical is to completely unplug. Unless there is an emergency that cannot be addressed by anyone else, employees who are on sabbatical, including CEOs, should be allowed to fully unplug and step away from their responsibilities at work. Offer conflict training for employees to improve employee satisfaction. Conflict causes employees to disengage and unplug from both accountability and assuming responsibility. Perhaps the organization lacks group behavior norms that make their values statements come to life. Perhaps, employees lack the skills to move past conflict into resolutions that support everyone. A seminar and/or workshop such as the 6 Principles That Build High Performance Teams offers employees the chance to work together to achieve tasks and learn how to effectively work with one another. Roles, goals and relationships all suffer when workforce behavior is a crap-shoot. 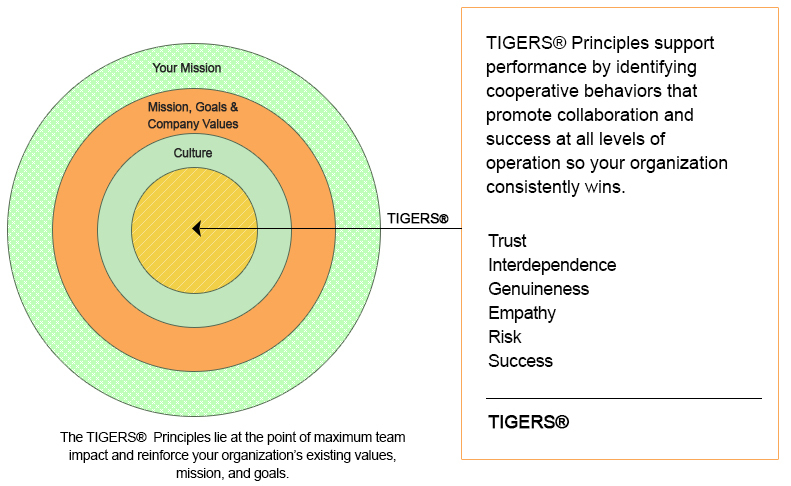 Courses like the 6 Principles give leaders an opportunity to identify potential leaders within the organization. Managers also learn how to manage, lead and motivate their teams for better productivity and teamwork. Organizations that focus on these employee satisfaction ideas benefit from more productive and satisfied employees. This helps not only the organization, but the employees themselves. 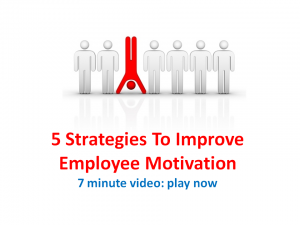 Employers who incorporate these ideas improve employee satisfaction through their own actions. This ensures the strategies are successful. “By matching their words and actions, supervisors demonstrate behavioral integrity and position themselves as appropriate role models,” Ferguson said. Care to dig deeper into this employee satisfaction conversation?